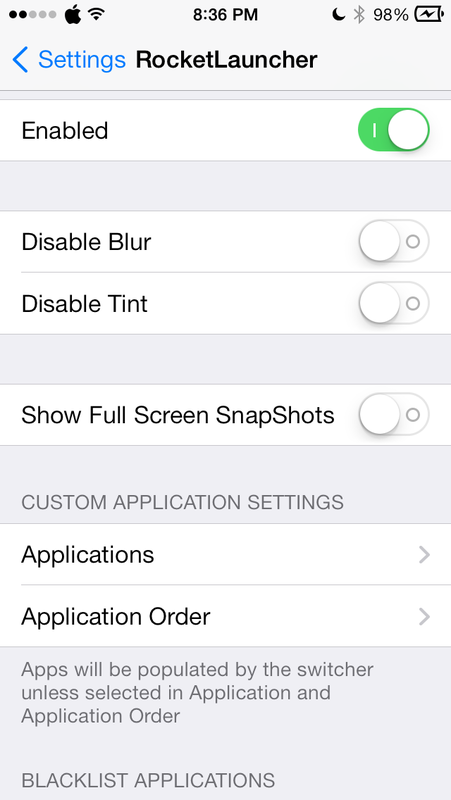 Developed by bushe, RocketLauncher iOS 7 lock screen tweak adds up functionality to your iOS device. Lock Screen tweak are one of the most sought after and looked out for tweaks. These tweaks not only change the looks of lock screen, but also add additional functionality to iOS devices. Lock screen is the first thing you see on your device. Not only the notifications, but the look of it is also important. RocketLauncher iOS 7 lock screen tweak intend to give us both the good looks and additional functionality. The maker of RocketLauncher is also the developer of popular LockBar Pro. RocketLauncher offers you to launch your favorite applications straight from your iPhone’s lock screen. Once installed, enable it from the Settings. You can activate RocketLauncher from lock screen by tapping and holding down your finger anywhere on the lock screen. 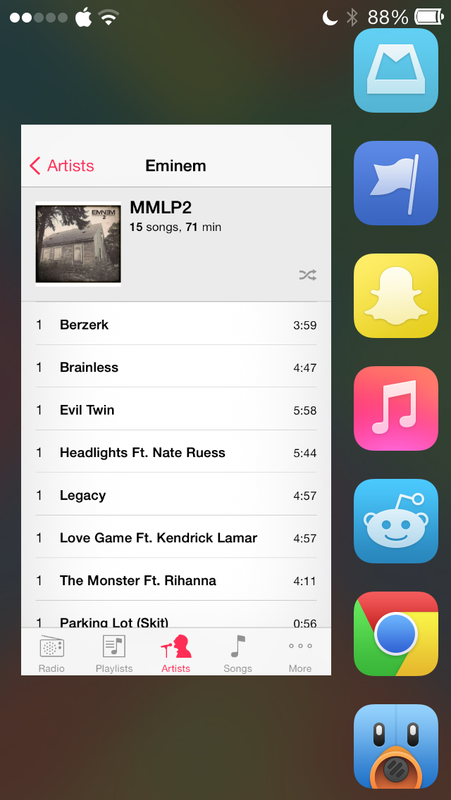 The tweak will show you first seven apps in your app switcher. However, you can tweak it to show your favorites. You can get RocketLauncher iOS 7 lock screen tweak from Cydia in ModMyi repo. The JB tweak is available for $1.00. Get Multi-Window Multitasking on Your iPad without Waiting for the Next Gen iPad!